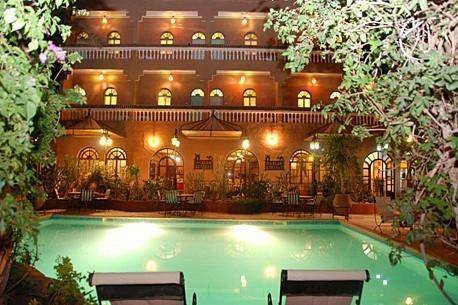 With an outdoor swimming pool and 2 restaurants, Le Riad Salam Zagora offers air-conditioned rooms in the centre of Zagora. Free parking is provided on site and Zagora Airport is a 15-minute drive from the hotel. Ryad Ksar Malal is 17 km from Zagora on the road leading to Ouarzazate. 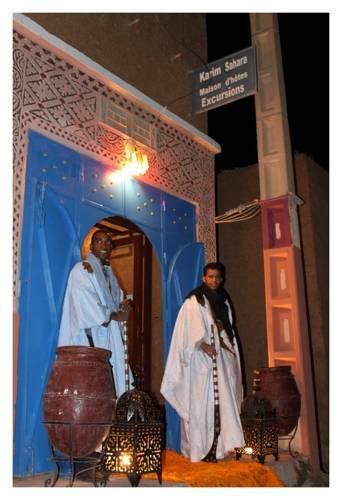 It is also 19 km from the Ksar of Amezrou and Zagora Mountain, and Tamegroute is 34 km away. You can organise excursions and cookery classes on site. 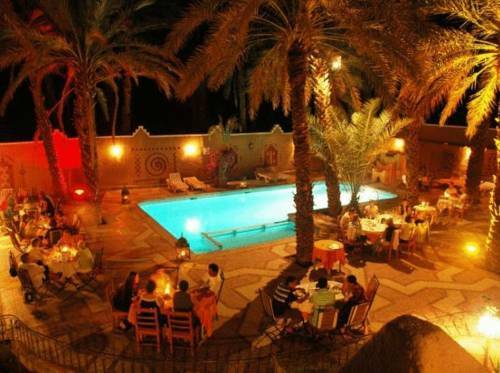 The hotel is ideally located on the outskirts of the desert, in the heart of the palm grove of Zagora. Come and enjoy an exceptional setting in the shade of palm trees. 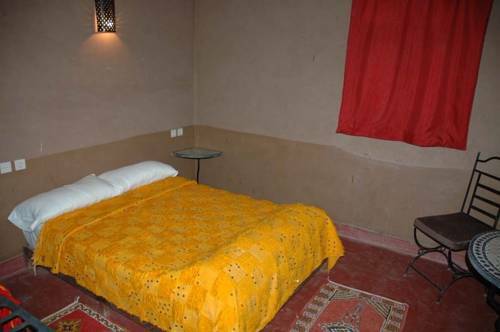 Housed in a traditional Moroccan building, this guest house is a 15-minute walk from Zagora CTM Bus Station. It offers free Wi-Fi access and a shaded, rooftop terrace with tables and chairs. 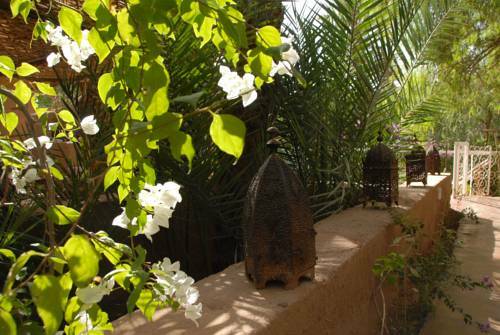 This guest house sits in the Draa Valley, next to the peaceful Zagora palm grove. 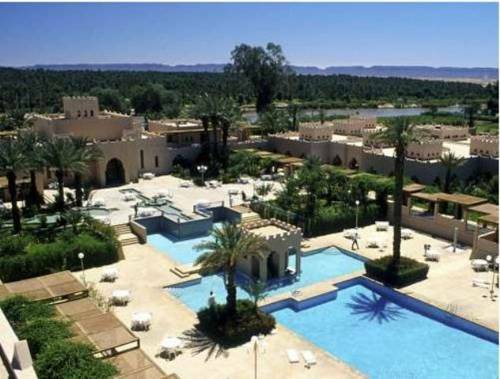 Set in a Moorish palace, it offers views of the desert landscape and large outdoor pool. Situated a 30-minute drive from Tamegroute, Hôtel Reda is decorated in a traditional-style and offers a swimming pool in its garden, a furnished terrace and a bar. You can rest in the Moroccan lounge or in the patio. Surrounded by palm trees and set in the heart of the Zagora Palmgrove, this guest house offers many lounges with fireplaces and an outdoor pool with a terrace overlooking the grove. Located a 4-minute drive from Amazraou, Villa Zagora Ma Villa au Sahara offers a terrace with seating area, deckchairs and views of the palm grove, and free Wi-Fi throughout. 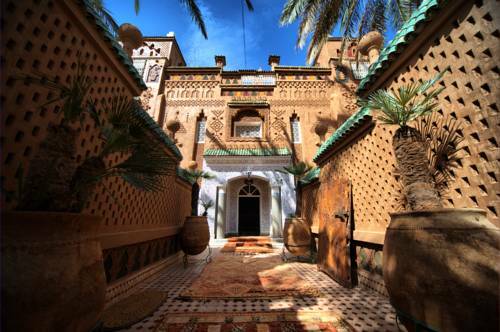 The Fibule Du Draa Kasbah D'hôtes is located in the Draa Valley, in the town of Zagora. It has a shaded terrace around the outdoor swimming pool and garden. Set in Draa Oasis, this typical Moroccan-style Riad features an outdoor pool surrounded by palm trees. 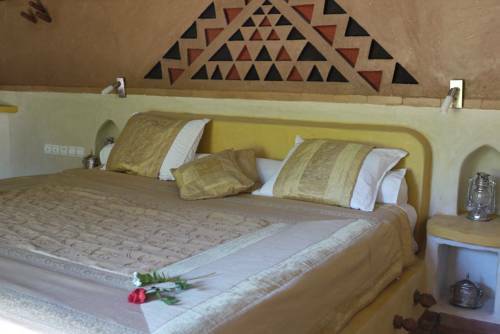 It offers air-conditioned accommodation, and a tented dining room in the garden.